The notice informed that for those medical colleges who had already applied for the same, their applications are being considered on priority. Adding that the last date to issue a letter of permission for the academic session 2019-20 is 28.02.2019, the Ministry is going to consider only those applications of conversion which will be received till 25.01.2019. This is regarding Medical Council of India’s Amendment Notification NO.MCI-18(I)/20 I8-Med.lI22294 dated 12.07.2018 enabling medical colleges to seek an equal number of PG (MD/MS) seats by surrendering recognized diploma seats in corresponding courses. The Ministry is receiving applications from medical colleges for increasing PG degree seats as per Notification dated 12.07.2018 which are being processed on priority. After receipt of the application, the Ministry is required to issue a Notification omitting the name of Diploma in respect of the said medical college and forward the application along with omission Notification and undertaking of the college to the Board of Governors-Medical Council of India (BoG-MCI) for the recommendation. As the last date to issue the letter of permission for the academic session 2019-20 is 28.02.2019 which is fast approaching, it has been decided that the Ministry will consider only those applications which will be received till 25.01.2019. All Medical Institutes are therefore requested to adhere to the prescribed time schedule. While the move of conversion of PG Diploma seats in commensurate MD/MS seats at medical colleges will indeed benefit the future PG students who are going to pursue specialisation in the medical colleges in india, the present PG Diploma students are left in Limbo as they have no avenue to promotions owing to their present degrees. Is this conversion applicable from this year (2019) onwards ? 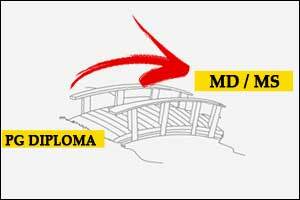 What will be the prospect who r alredy have diploma degree. VERY PROGRESSIVE MOVE! BUT THE MOVE SHOULD NOT LEAVE THOSE PERSSUING PRESENTLY ANY DIPLOMA COURSE IN ANY MEDICAL COLLEGE SPECIALLY IN GOVT MEDICAL COLLEGE!